About 40 million people in the United States suffer from some form of arthritis. If you’re one of them, you know how debilitating the pain, stiffness, and swelling can be, reducing your quality of life. At Chiropractic Health and Wellness Center, Dr. Charles Arndt and Dr. Debarun Borthakur provide effective treatment for patients living with arthritis. If you need relief from arthritis symptoms, call today for an appointment. Arthritis is a deterioration of the joints and is not a single disease, but a description of pain, inflammation or degeneration in the joints. There are over 100 different types of arthritis affecting both adults and children. However, two of the main categories are degenerative and inflammatory, with osteoarthritis and rheumatoid arthritis as the most known types. Osteoarthritis is a degenerative type of arthritis and the most commonly diagnosed. This occurs as the cartilage between the bones in joints wears down, causing friction between the moving bones, usually in older adults. This condition results in pain and weakness in the joint, resulting in loss of mobility. Rheumatoid arthritis is an inflammatory type of arthritis that can occur at any age and is caused by an immune system disorder. In rheumatoid arthritis, the body attacks its joints, causing inflammation, swelling, pain, and other dysfunction. There's no cure for arthritis, although there are effective treatments that reduce pain and inflammation. Pain and inflammation management, as well as a focus on wellness, will help you live a more active life. Women are at higher risk for rheumatoid arthritis, while men are more likely to succumb to other types, such as gout. Lifestyle factors can also be risk factors. Those that smoke tobacco in combination with genetic factors can be at higher risk for autoimmune and inflammatory types of arthritis. What treatments for arthritis are available? Treatment for arthritis depends on the type, symptoms, and the progression of the disease. 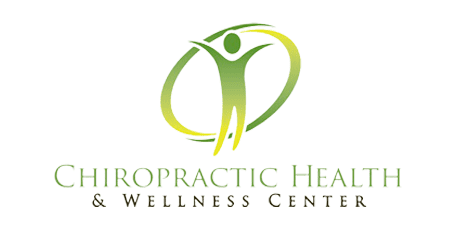 Chiropractic Health and Wellness Center uses an Active Lifestyle Assessment to do a full evaluation of the function of the body’s neuromusculoskeletal system. This evaluation uncovers imbalances in the body which can result in progressive arthritic changes to the spine and joints of the body which may have been asymptomatic. Noninvasive approaches are used with the goal of treating not only the arthritic joints but improving the overall alignment and mobility of the body to put less stress on the affected joints. Spinal adjustments, trigger point injections, and even stem cell treatments like PalinGen® may be used to help reduce pain and improve mobility in patients with arthritis. Dr. Arndt and Dr. Borthakur encourage open communication as an essential part of treatment. The care you receive extends beyond the confines of the clinic to include a comprehensive home treatment plan to manage your pain and inflammation.